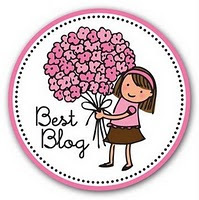 I've just received an award by 3 lovely bloggers, Madeline from *Cappuccino and fashion*, MaryElizabeth from Little Ramblings and Lauren from Adventures of a nomad just trying to find her way. If you haven't already, check out these blogs. They are some of my personal favorites too. I guess that's all. Thank you again for the award! It really made my day! ps. posting about this tomorrow! thank your very much elina! I'm very very happy! thank you so much dear!!!!!!! These are all great blogs! Congratulations to all! 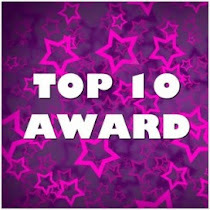 So excited to be listed under your 15 blogs awarded, this makes it all worth-while. I guess I should keep it up. Thank you so much for the acknowledgment!! Love being a follower of Lipstick Stars And Killer Heels!!! you are the sweetest thing ever darling! thank you so very much from the bottom of my heart for this award! it was very very nice of you to consider me :) me! out of all the pretty ladies out here on the blogosphere hehe. i LOVE fedoras! i LOVE pink! i LOVE cheesecake! i'd totally choose black too and sigh.... Hawaii just screams of perfection♥ thank you once again sweetheart! muah! hope your day is going well! talk to you soon! Thank you so much for the award! It totally made my day!! I love reading your blog! You always post such great things! Keep up the good work girlie!! thank you thank you THANK YOU HON!!!!! with so much hugs and kisses thank you!!! I LOVE LOVE LOVE LOVE IT! Than you, it's an honor to me!!! Thank you for your kind words too!!! Sorry so late with this, but thank you soooooooo much! Its is an honor to have this. YOU deserve all blogger awards. I truly love your blog, I read & view it all the time. THAK YOU, THNAK YOU, THANK YOU!